April 9th 2016 marked the first show at the clubs new venue, His Vineyard church in Greer SC. It was also the first Foothills Mustang Club cruise in of 2016. The weather was cool and windy, but sunny. This cruise in was to benefit Luke's' Wish. Luke's wish is to have a 1965 Mustang that his mother has owned for many years. The proceeds from this cruise in are to help defer the cost of a complete ground up build of the Mustang. 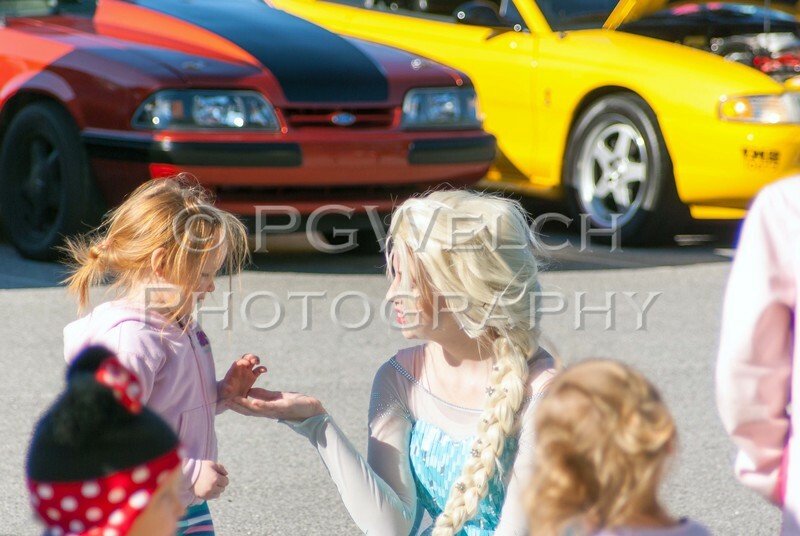 Anna, Ariel, Cinderella, and Elsa made an appearance for children. The new venue is a drastic improvement over the old location. Lighting is better and there are better photographic opportunities.